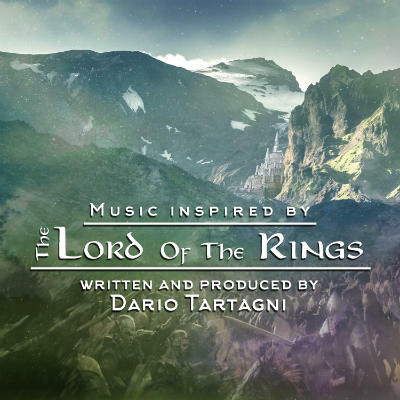 Dario Tartagni’s Music Inspired By the Lord of the Rings is just that and more. Taragni, a composer from Rome has put together an entire album of symphonic music inspired by the Lord of the Rings story / franchise. Some of the tracks even feature voiceover narration. What’s incredible about this is just how amazing it is. This is not some hobbyist attempt at musical fanfiction. The quality of these recordings and the beautiful complexity of the compositions are of such a high caliber that they rival the music of the actual mega-budget film itself. In fact, I wouldn’t mind seeing a version of the movie which replaced the original soundtrack with Tartagni’s music. Putting this together had to have been a real commitment and labor of passion. Epic doesn’t even begin to describe it. I would recommend this album not just to fans of Lord of the Rings but to anyone who appreciates symphonic music.